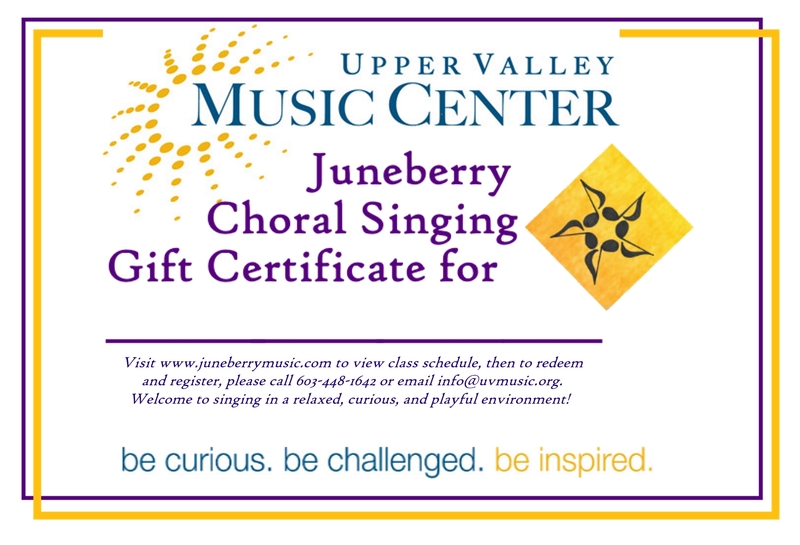 $30 UVMC Registration Fee is WAIVED for all Gift Certificates!!! After submitting this form, you will have the option of paying online or by check. After payment, you should receive email confirmation within 24 hours. Yes, please send the gift certificate filled out No, I'd like to fill it out myself; please send a certificate with a blank line. Pay online with Paypal or any major credit card. A $3 processing fee is added. the Upper Valley Music Center, 63 Hanover St, Lebanon, NH. Please put the gift recipient's name on the memo line of the check.